DUI Attorney J.K. Moran is a former prosecutor, he served as City Attorney of the cities of Palm Springs and Rancho Mirage. After leaving the prosecutor’s office, Mr. Moran has maintained a thriving DUI defense practice since 1982 at the same convenient downtown Palm Springs location. In fact, Mr. Moran is the “Desert’s DUI Specialist”. Do I really need a DUI Lawyer? – Yes! Call now and have your questions answered. Serving Palm Springs, Palm Desert, Desert Hot Springs, Cathedral City, Rancho Mirage, La Quinta, Indio, Yucca Valley, 29 Palms, Coachella Valley, Riverside and San Bernardino. Details: Driver was weaving in and out of his lane at approximately 10:00 p. m. in Palm Springs. Within seconds of arriving at his home he was contacted by a police officer who had followed him home. The officer alleged that the client admitted to drinking up to eight beers and felt the effects of the drinks. According to the police report, the driver was weaving, admitted to drinking up to 8 beers, said “I felt the effects of the drinks.” The jury found this driver not guilty. DUI Attorney – Palm Springs, CA. 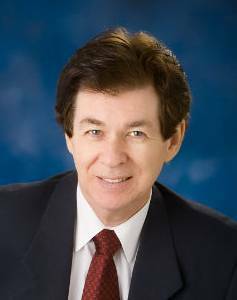 J. K. Moran has more than 30 years legal experience. During the last 15 years, he has specialized in defending people accused of drunk driving or driving under the influence. ( DUI – DWI ) He has many outstanding victories, including some of the most difficult cases in Riverside county history. Among the most noteworthy are the following cases… click to read more.